Welcome to Stars of the Spiral! 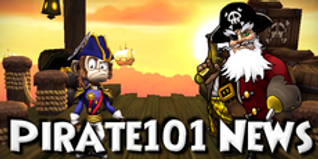 We are an official fansite for Wizard101 US & Wizard101 UK as well as Pirate101. We are here with guides, tips, news, and much more for both games. Stars of the Spiral has two sections that are separately dedicated to each game - Wizard101 and Pirate101, both created by Kingsisle Entertainment with a purpose in mind of creating a safe, fun, and exciting place for multiple generations to play and enjoy together. Check out cool guides, learn a thing or two, see what's new, and have fun exploring! Enhance your wizard or pirate journey today by using the top bar to navigate around the site. Enjoy! We're giving out goodies for both games all the time! Check out new contests, and enter for your chance to win epic loot and prizes! Check out the latest in Wizard101 and Pirate101 news by following along with our Twitter account or our Blogspot for all things new!